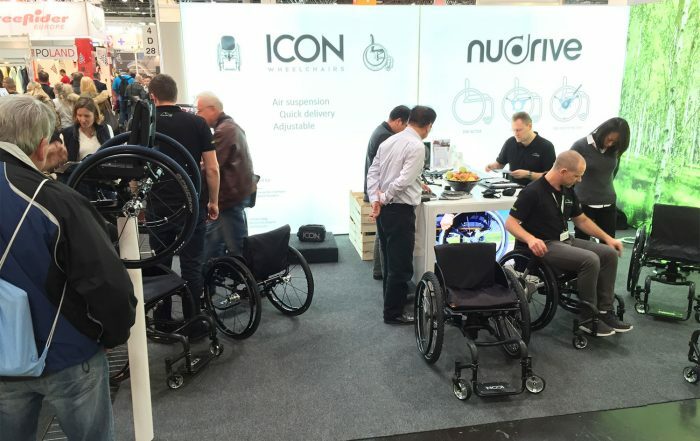 It is time for Rehacare in Düsseldorf again. And we are ready to launch a new version of the NuDrive AIR. The NuDrive was originally invented by Robert Orford in 2000/2001 as a school design project. Driven by a desire to help people and bring more freedom for those in wheelchairs, including his good friend Emily Steward, Robert developed the first prototype of the NuDrive. A proto type so good that he won the Audi Young Designer of the Year Award in 2002. This, and the positive feedback he had from Emily Steward, urged him to continue the project and in 2003 he opened the NuDrive company and launched the first, and later on the second, generation NuDrive. Unfortunately, despite positive user feed-back, Robert were not able to keep his company going and he decided to sell the company to his Danish Distributor: Langhøj ApS. Langhøj ApS, owned by the brothers Frank and Lars Langhøj, took a good look into the NuDrive with a fresh set of eyes and instead of continuing the existing version, they decided to wait with sales until they had made some remarkable improvements. 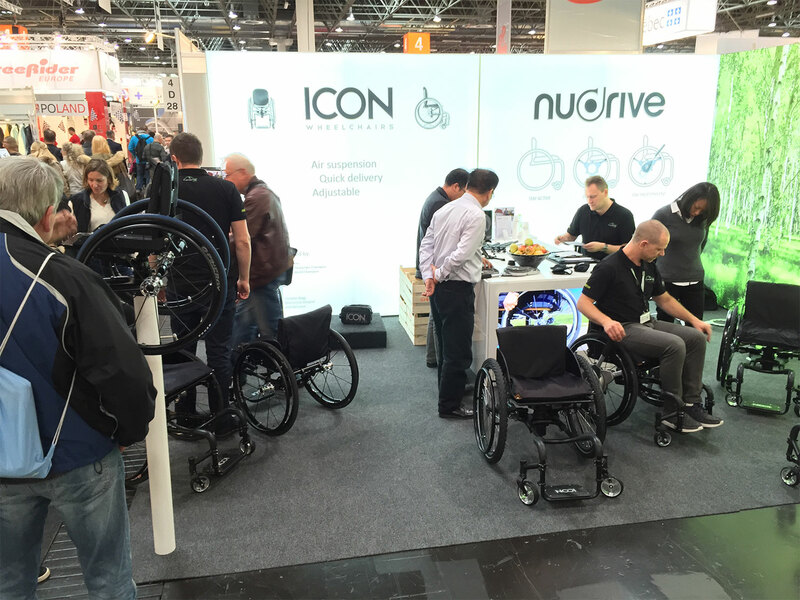 These came with the NuDrive AIR that was launched last year at the Rehacare 2015. And now, in 2016, we are ready with yet another upgrade. We are introducing the NuDrive AIR Ergo version, with an improved angle on the push handles to provide the user with an even more ergonomically grip. Please find your way around our stand to try for yourself!